Company test runs own traffic analysis service and finds malicious Chrome extension in its own backyard. ZDNet's data breach and hacker reporter, Catalin Cimpanu, breaks the news of a previously unreported malicious Chrome extension uncovered by ExtraHop that was spoofed using the name of a different popular Chrome App that developers use to test their REST APIs. Read the full story on ZDNet here. A mysterious (and fake) Chrome extension. A clever data exfiltration scheme. They would have gotten away with it, too, if it weren't for those meddling security analysts using ExtraHop Reveal(x)! 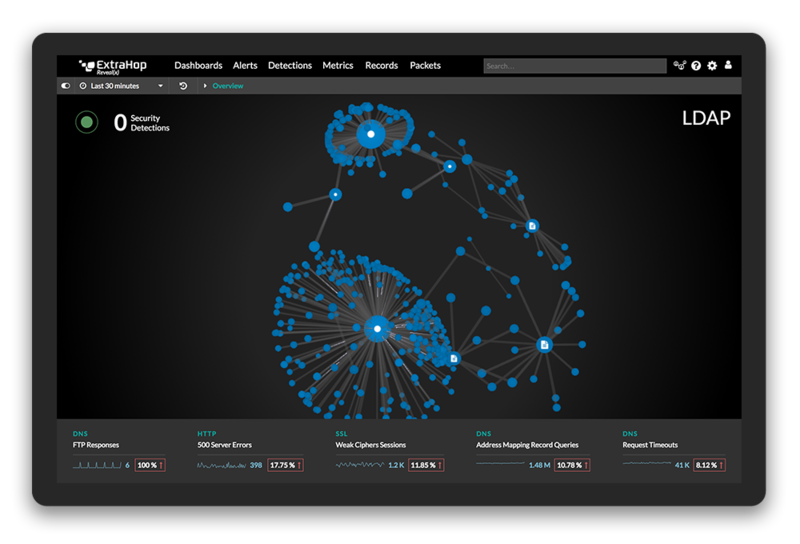 Follow along as we go from threat detection to response in this real-life threat hunt with network traffic analysis. Cyber security experts are in high demand but many so-called threat hunters begin as network engineers, admins, or analysts. Read this step-by-step case study to learn the basics of confirming and investigating a breach using ExtraHop Reveal(x), network traffic analysis for the enterprise. Watch this 6 minute video to learn exactly what sets enterprise-class network traffic analysis products apart from the basic definition of the category and which capabilities are required to be truly best-of-breed.